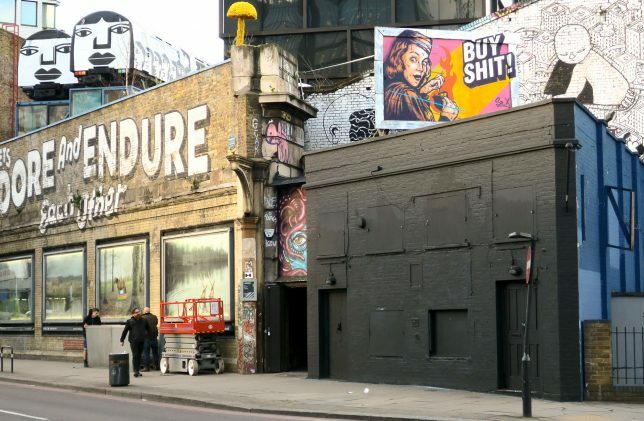 Banksy may be the most famous street artist addressing topics like capitalism, war, the refugee crisis and environmental degradation, but he’s far from the only one. 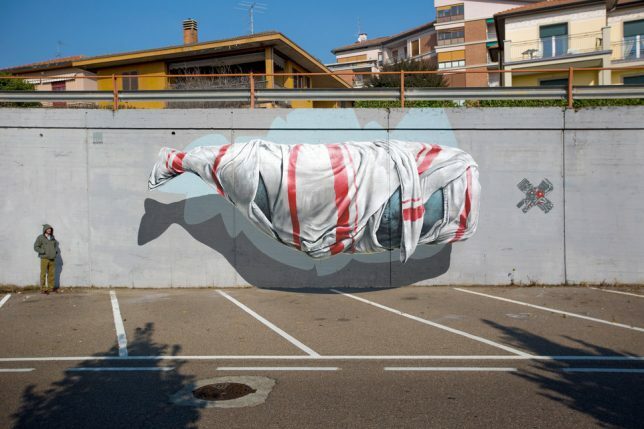 These political works by a wide range of international artists call attention to the ravages of the palm oil industry, police brutality, climate change, rapid industrialization and human trafficking with powerful visuals in public places. 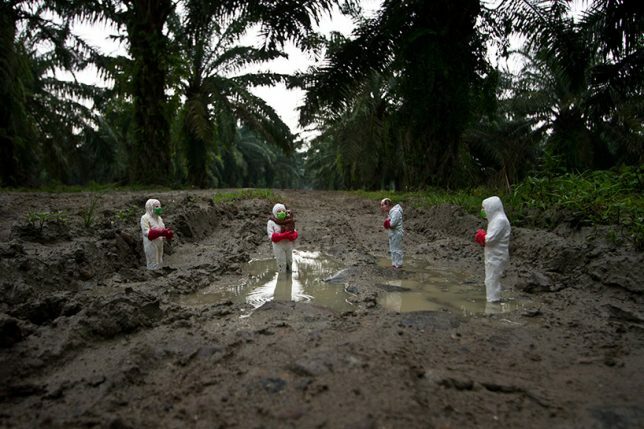 In western Indonesia, on the island of Sumatra, the palm oil industry is ravaging the forests, cruelly killing and displacing species like the orangutan. 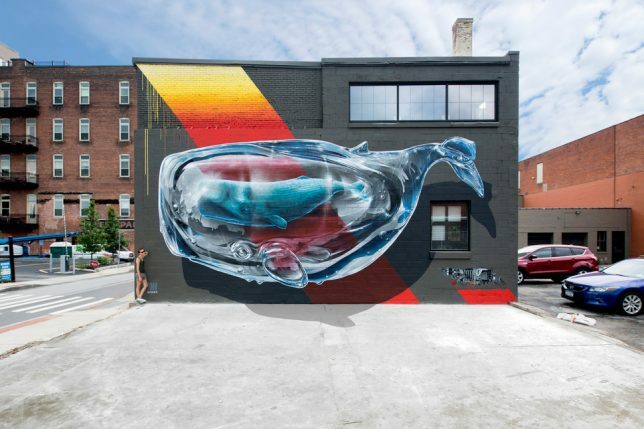 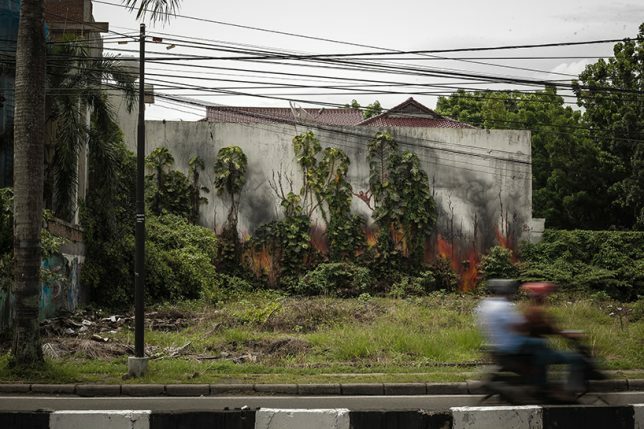 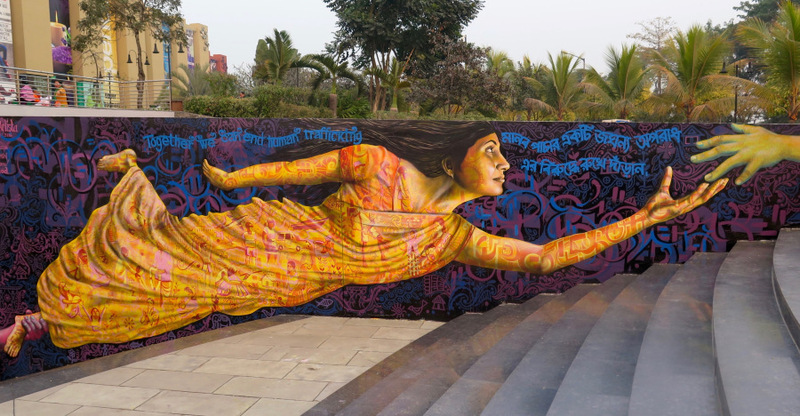 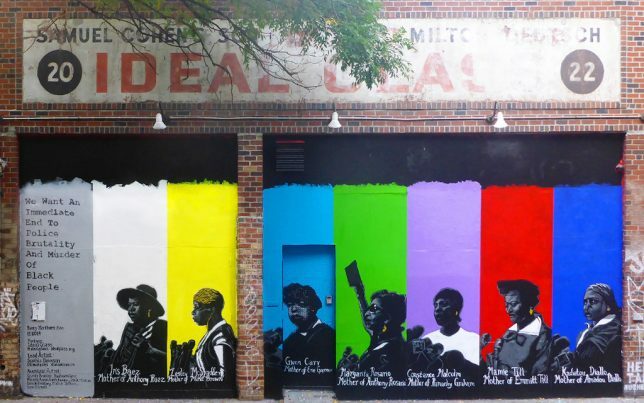 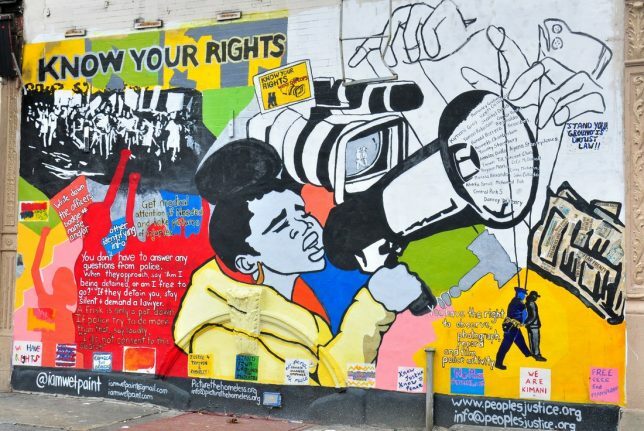 The ‘Splash and Burn’ project, curated by Ernest Zacharevic, aims to call attention to these issues through art installations by international creatives. 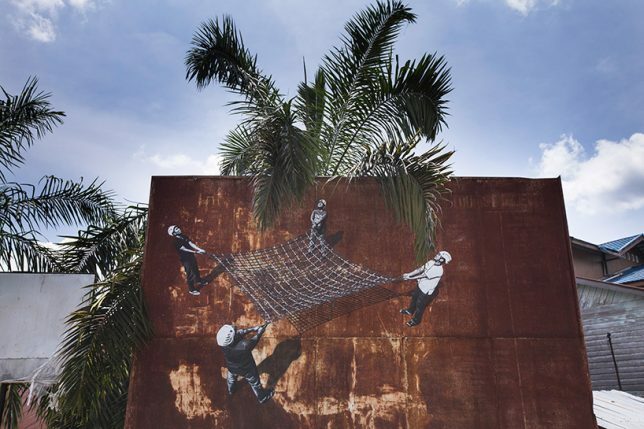 Ernest’s own contribution is a gut-wrenching mural of the forest on fire as an orangutan tries to escape, while Strok’s shows how workers attempt to rescue orangutans clinging to life in mostly-destroyed forests. 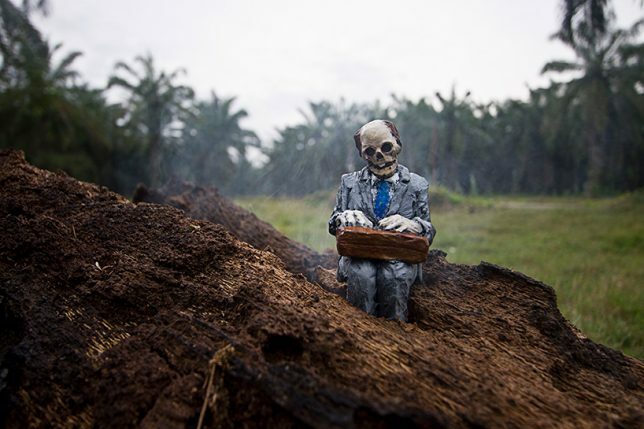 Isaac Cordal, who’s known for his street installations of miniature figures, shows recovery efforts in action, along with a striking representation of those who get rich on the industry. 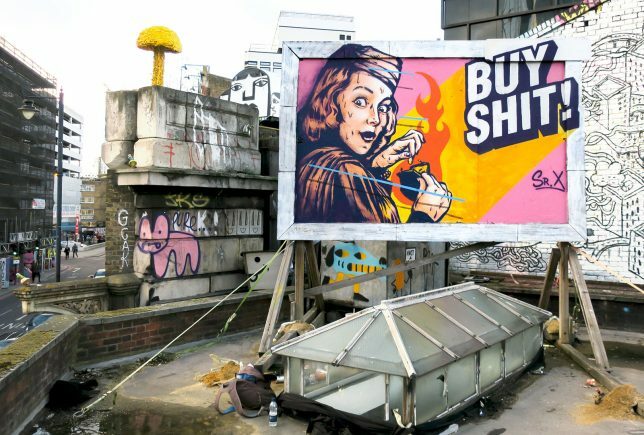 Spanish artist Sr. X completed this rooftop mural on an old billboard platform on London’s Great Eastern Street, with a pointed critique that requires no further explanation. 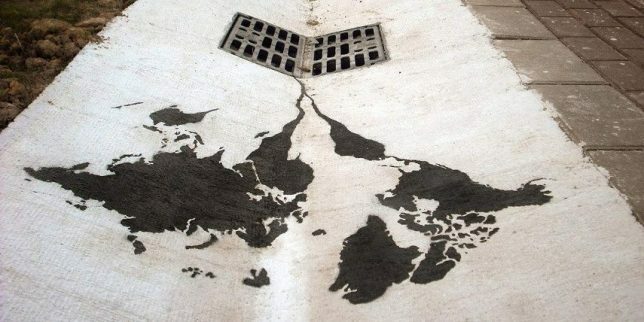 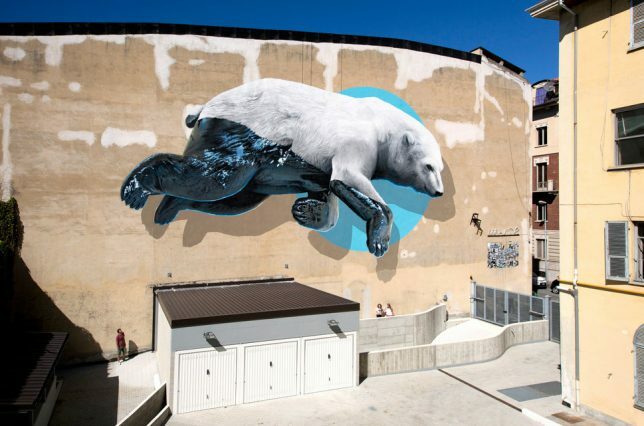 The world threatens to melt through a storm drain into the sewer below in this Santander, Spain street piece by Spanish artist Sylvestre Santiago, better known as Pejac.